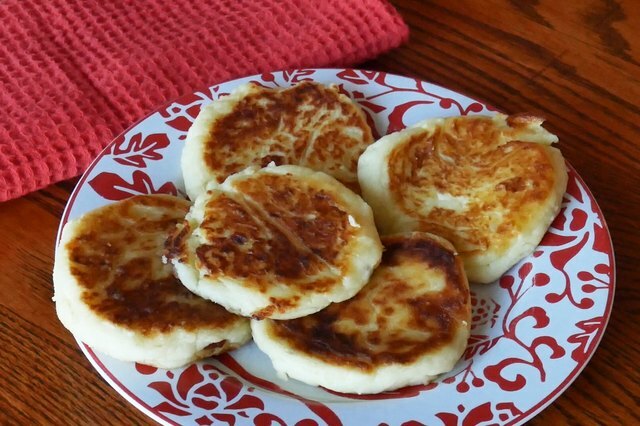 You can turn left over mashed potatoes into delicious potato pancakes. All you need is some flour, an egg or two, and a little oil. 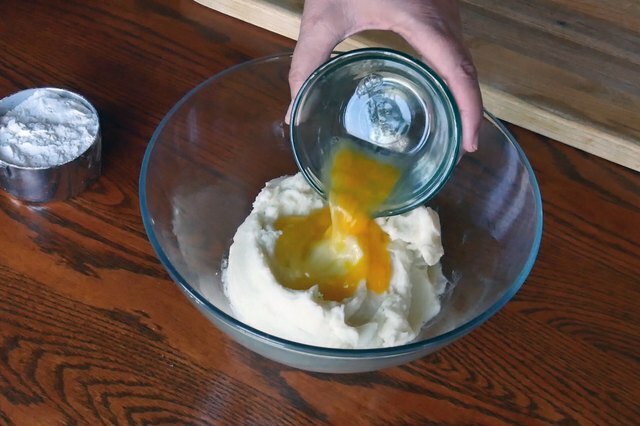 The exact amount of flour depends on the amount of mashed potatoes you have available, but a good rule of thumb is about 2 tablespoons of flour for each cup of mashed potatoes and one egg for every 3 cups. For example, we had about 3 c of mashed potatoes, so we used 6 T of flour and one egg. Beat the egg(s) in a small bowl, then add to the potatoes. Add flour and stir to incorporate the eggs and flour into the potatoes. 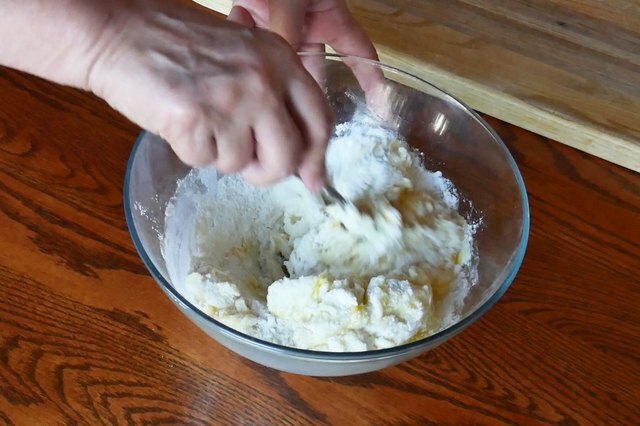 Using 2 to 3 tablespoons at a time, pat the potato mixture into pancakes. 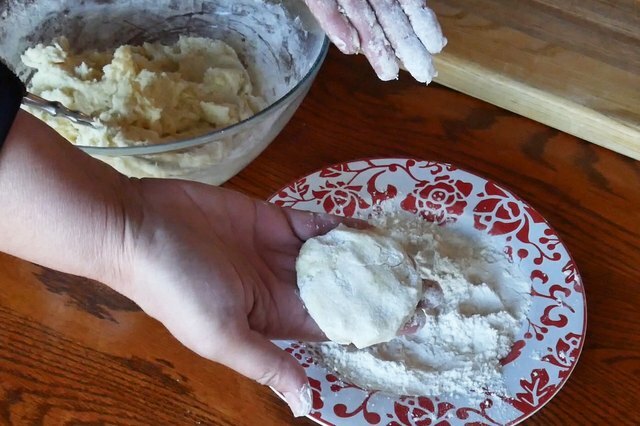 Dredge each pancake in flour. Heat 2 T of cooking oil to a griddle or frying pan. 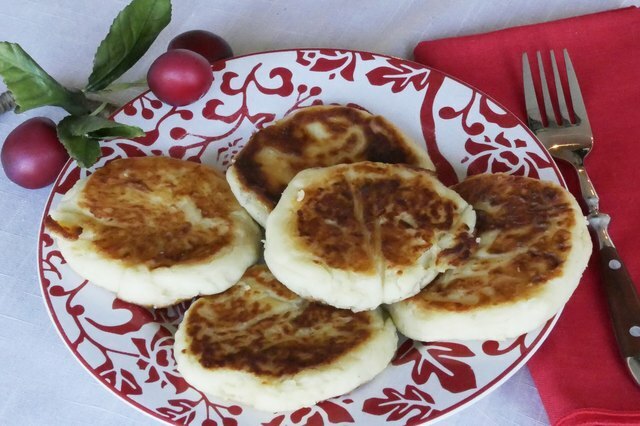 Place pancakes in hot pan and cook for 3 to 4 minutes or until browned to taste. 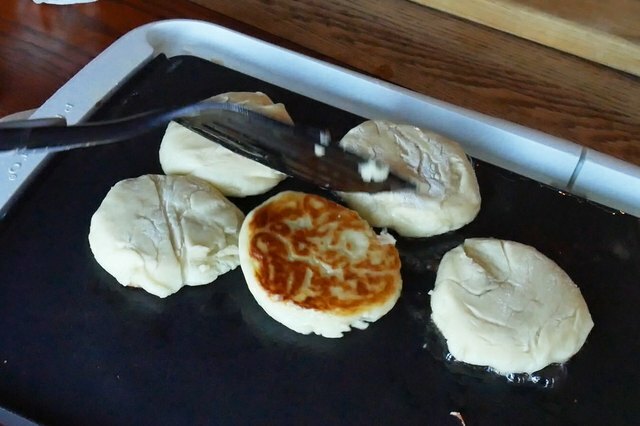 Flip each pancake and cook on the other side. Add oil if necessary to prevent sticking.